De-Su Holsteins is a family operation located in northeast Iowa. De-Su Holsteins expanded its operation over the past 15 years from 70 cows to 1,450 cows. Over the past six years, Darin has highly focused on the genetics aspect. The success of this can be seen with one look at the locator list. De-Su has over a hundred cows on the list with numerous daughters of the foundation cow De-Su BW Marshall Georgia and her daughter De-Su Oman 6121, dam of Observer. 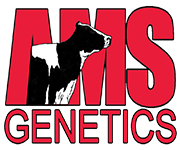 BRATTLEBORO, Vt., April 4, 2019 – Holstein Association USA is excited to honor herds with the 2018 Progressive Genetics HerdSM award. Given annually, the award is presented to Registered Holstein® herds with high genetic values, measured by average CTPI. The Progressive Genetics Herd (PGH) recognition was first given in 1991. The PGH award honors herds with high genetic value, based on average TPI® levels, which lead toward continued breed progress. All eligible herds are automatically evaluated annually and the PGH recognition is awarded to the 500 herds with the highest average TPI for females in the herd, both young and mature. 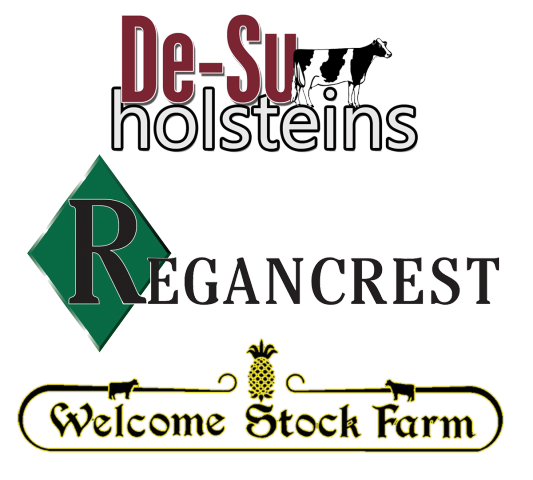 De-Su Holstein LLC, Regancrest Farm and Welcome Stock Farm LLC all have received the Progressive Genetic Herd honors all 28 years the award has been given. CONGRATULATIONS to these outstanding breeding establishments! The Top 25 GTPI new females for January 2017 has been posted. Topping the list with GTPI+2923 is Hilmar Superfly 13227. For the complete Top 25 CLICK HERE. JUST IN... the Top Genomic Females for May 2016. Congratulations to Pine Tree Dairy with four full sisters in the Top 20 and the No. 1 female for May at +2871G, Pine-Tree 9882 Prof 7019. De-Su Spark 5106 tops the GTPI charts for calves younger than 9 months scoring GTPI+2846. 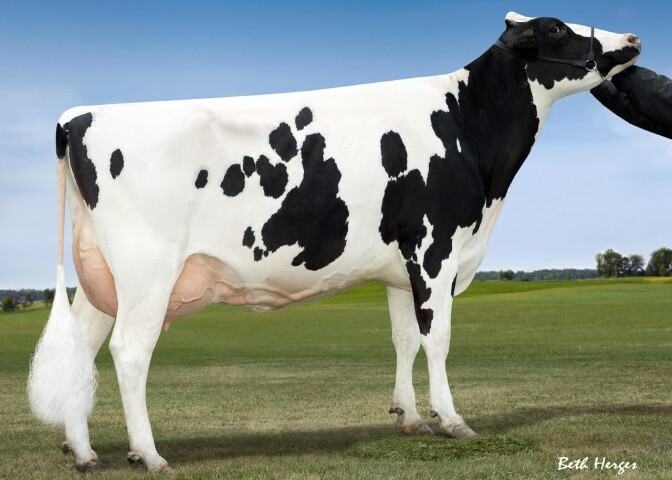 2nd on the list is Siemers Delta S-Roz-Ann scoring GTPI+2841. De-Su 1114 is one of the highest Bookem daughters worldwide scoring GTPI+2480 (12/14) and goes back to the BW Marshal Georgias. De-Su 1114 has a GTPI+2627 Jetset son at Semex and a GTPI+2622 Rodgers son at Select. You can vote for De-Su 1114 as your favorite Bookem daughter. READ MORE. 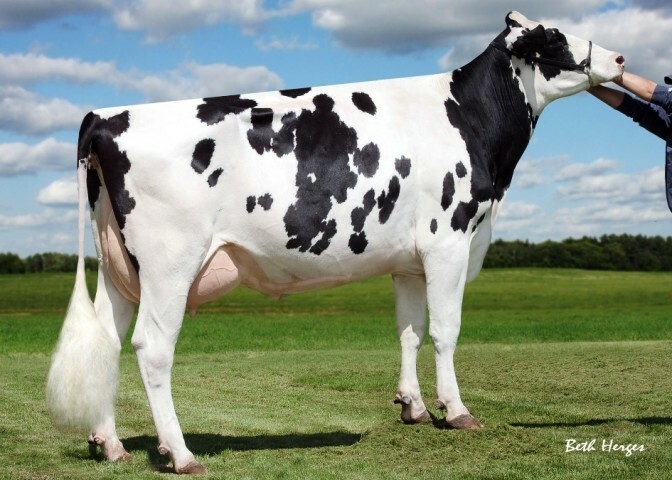 De-Su Holsteins dominates the Top 50 GTPI Females list (Between 9-24 Months) with 15 animals, including 9 descendants from Clear-Echo M-O-M 2150 VG-87-2YR DOM. The tremendous brood cow, Sully Shottle May is now Very Good-87 VVEVV DOM. New photo of the #1 GTPI Cow in the U.S., Ladys-Manor Pl Shakira-ET VG-87 VG-MS at 2-11. Shakira is the Planet daughter of Ladys-Manor Ruby D Shawn-ET and a full sister to Ladys-Manor PL Shamrock-ET. Clear-Echo M-O-M 2150-ET VG-87 EX-MS at 2-06 (Man-O-Man x Clear-Echo 822 Ramo 1200-ET) is dam of the #1 GTPI heifer, De-Su 1438-ET GTPI+2714 (8/12). Clear-Echo M-O-M 2150-ET (Man-O-Man x Clear-Echo 822 Ramo 1200-ET) is now Very Good-87 EX-MS at 2-06. 2150 is the dam of the #1 GTPI heifer in the world, De-Su 1438-ET GTPI+2714. 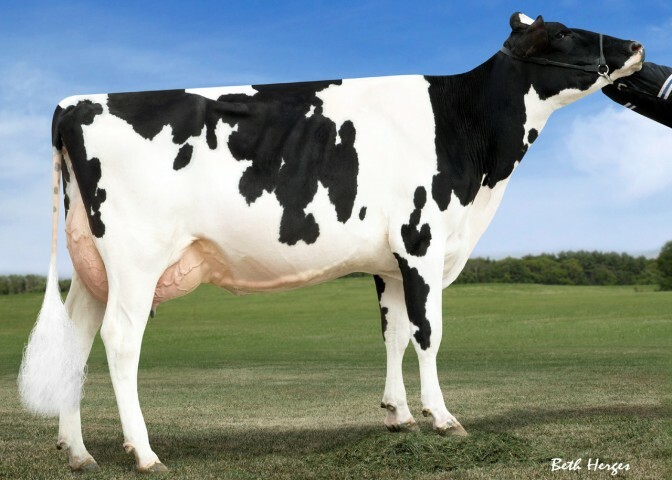 Nine of the Top 25 New Genomic females for February 2012 carry the De-Su prefix and the industry has a new #1 GTPI Female, De-Su 1438-ET, with a GTPI of +2772. 1438 is a Shamrock daughter from the Clear-Echo Hershl D Rac-822 family. Congratulations to De-Su Holsteins, New Albin, Iowa! Bookem from high genomic transmitting Shottle May! Selling at the National Holstein Convention Sale on Friday, June 24 is a Nov. 2010 Bookem from the former #1 GTPI and current #4 GTPI Cow in the U.S., Shottle May VG-85 DOM. This Bookem tested out at +2432 GTPI +1238M +59F +56P +784NM$ +6.3PL +3.27T and sells with numerous contracts! De-Su has great run of New Genomic Females for May 2011! Darin Meyer, De-Su Holsteins, LLC, New Albin, Iowa has 13 of the Top 25 New Genomic Females for May 2011. Congratulations to De-Su Holsteins! Selling this Saturday on the Limited Edition Sale, Dubuque, Iowa is a 1st Choice Female from De-Su 9053-ET GTPI+2303! Buyer has choice from five Frank pregnacies due May 2011 or her natural calf sired by Erdman due April 29, 2011. 9053 is the #1 GNM Shottle and the #5 GTPI Shottle in the Breed and a granddaughter of Oman 6121-ET. 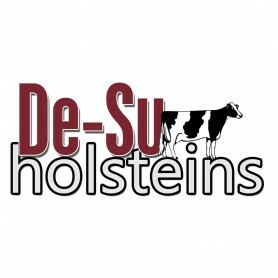 De-Su Holsteins is now online! De-Su Holsteins located in northeast Iowa is home to many chart topping favorites. De-Su has 104 cows on locator the list with 15 daughters of the foundation cow De-Su BW Marshall Georgia and her daughter De-Su Oman 6121, dam of Observer, has 21 daughters on the list. Three of the top five genomic bulls on the market right now carry the De-Su prefix De-Su Observer-ET, De-Su Bookem-ET and De-Su Osmand-ET and they have added the full sister to the number one bull, Ladys-Manor PL Shamrock, to their genetic program. Click here for more details.